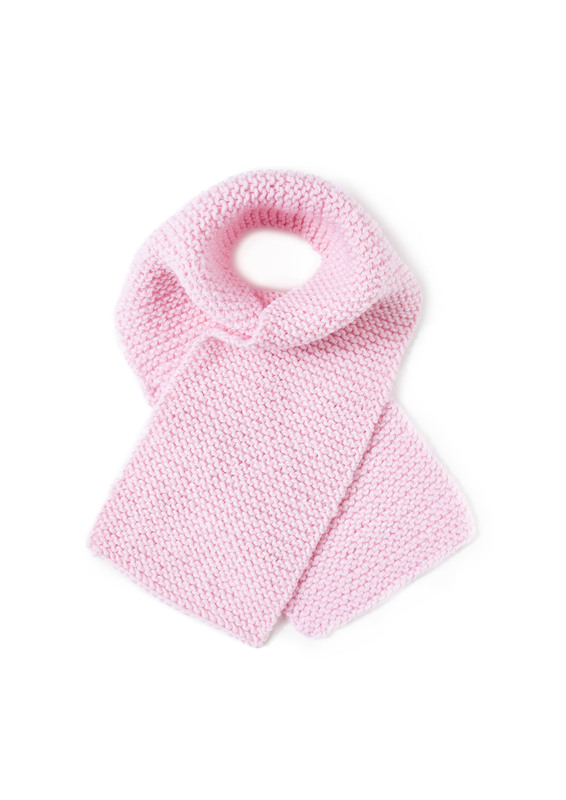 A classic and simple garter stitch scarf will snuggle around your little one’s neck to keep him or her warm this winter. An easy project, this scarf can be made from Baby Smiles Merino Wool, Baby Smiles Bravo Baby 185, or Baby Smiles Cotton. All Baby Soft yarns are designed to be extra soft on your baby’s skin, chemical free and easy care, and all come in a great range of colors. One size approximately 3 ½ x 24 inches (9 x 60 cm).